This page is under revision due to recent developments. Please refer to the News and Blog section for the latest information. Ibutho Coal Pty Ltd has applied for a mining license to mine anthracite coal for the next 32 years in the Fuleni area bordering on the Wilderness section of the Hluhluwe-iMfolozi Park. The mine would be mainly opencast and would operate for 24 hours, 365 days of the year. The proposed Mineral Lease Area (MLA) is 14,615 ha but the initial mine footprint development is only 1858 ha or 12% of the MLA. One can only assume the intention is to mine the remaining 88% of the MLA well into this century and possibly beyond. The MLA is situated within the Mfolozi Local Municipality of the Uthungulu District Municipality. The town of Richards Bay is located approximately 45 km southeast of the project area where the Richards Bay Coal Terminal is located, the largest export coal facility in the southern hemisphere. Fuleni MLA is bordered by the Mfolozi River to the north, the Richards Bay railway line to the south and Hluhluwe-iMfolozi Park (HiP) to the north-west. Should Ibutho Coal, a mineral exploration company, be granted mining rights by the South African Government they would in all likelihood sell these rights to an established mining company. Were that to happen the implications would be that all the environmental and community undertakings and agreements made by Ibutho Coal and their consultants in their reports and in the application would fall away except for where government has specifically stipulated conditions in the mining lease. Inevitably the affected community and the natural environment, including the iMfolozi Wilderness Area and HiP, would be left to pay environmental, social, economic, health costs, etc., while the owners of the mine profit. According to an article in The Mercury, published in July 2014, Ibutho Coal’s shareholders were listed as:- Peter Gain, Tom Borman, Jan Bronkhorst, Thembi Myeni, Locksley Pege and Menzi Gqweta. The draft Environmental Impact Report identifies 16 500 people who would be directly or indirectly affected by negative impacts during the life of the mine. This does not include countless future generations affected by irreparable damage from the mine. Many families, some child headed, currently living in the seven villages located within the proposed MLA, stand to lose their homes, schools, clinics, water supplies, roads, grazing areas for their cattle and goats, croplands, sacred natural sites, and burial sites. The mine would disrupt the social fabric of the Fuleni people and be a magnet for opportunistic elements, including criminals, who would move into the area resulting in increased levels of crime. Rhino poachers will seize the opportunity to conceal themselves amongst the shifting population, leading to an increase in the slaughter of rhinos for their valuable horns. More than 84 million cubic meters of the ‘greenhouse’ methane (CH4) gas would be released into the atmosphere. Methane is 20 times more powerful than carbon dioxide (CO2) in its affect on climate change. The issue of water for the proposed mine remains unresolved. The Mfolozi River catchment is a highly water stressed area recently in the grip of one of the worst droughts in living memory. It is not an option for the proposed mine to draw water from the Mfolozi River. The estimated total water demand for the mine is given as 2547 kl/d, which is the equivalent of 51 average sized swimming pools per day! The sourcing of such a large volume of water, without taking it away from people and their needs, has not been clarified. Pollution of surface and ground water resources is an inevitable consequence of open cast coal mining. Rural people, their livestock and wild animals are dependent on existing water resources. Should these become polluted by acid mine water and toxic heavy metals, there would be significant health impacts for all life, including residents living in the downstream town of Mtubatuba and its environs. Visitors to HiP and other tourism attactions in the area would also be at risk. Large quantities of black coaliferous dust produced by open cast mining activities, coal and discard dumps, and trucking coal long distances by road, pose significant health risks. Prevailing winds carry the dust into human settlement areas (homes, schools, grazing areas, and croplands), the Wilderness area and Hluhluwe iMfolozi Park (HiP) resulting in high levels of toxicity and pollution of water. Coal dust also covers and contaminates vegetation, thereby poisoning food sources for wild animals and livestock. 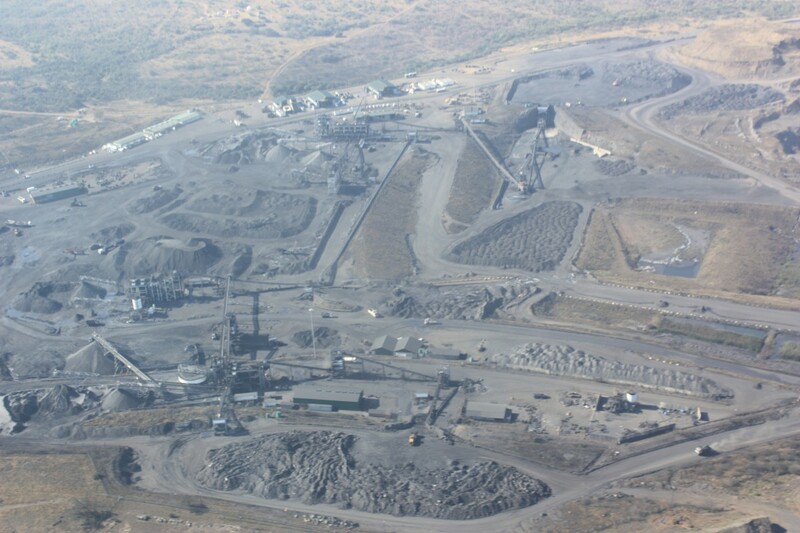 Studies show that dust from the proposed Fuleni mine will blow into the iMfolozi Wilderness Area and HiP at levels that will exceed National Atmospheric Air Quality Standards resulting in a a spoilt and polluted natural environment. The impacts would be devastating to wildlife and to tourism operations. Fuleni residents and animals would be at high risk of developing life threatening respiratory diseases from breathing in and accumulating coaliferous dust in their lungs over time, especially people and animals living in close proximity to the mine. Noise generated by heavy machinery day and day, explosions to blast rock, seismic ground vibration, light pollution that blots out the stars would occur repeatedly and continuously during the life of the mine. This would affect people living near the mine, visitors to HiP, and people going out on Wilderness trails. Severe impacts on elephant, rhino, crocodile populations and birds of prey would also be expected. The iMfolozi Wilderness would be de-designated because of the loss of its wild character and natural environment untransformed by mankind. Wilderness trail guides would lose there jobs because wilderness trails would no longer be undertaken. Somkhele Mine – This shocking, devastating sight could soon be on the border of the iMfolozi Wilderness Area of HiP if the proposed Fuleni coal mine is approved. To mine or not to mine?